Tails adds in a bunch of different tails, ears and wings including various subtypes all of which you can colour to your liking! It's a primarily client side mod with an (optional) server side component for syncing tails across clients. However even if the server doesn't have the mod installed, other players with the mod can still see your tail! All you have to do is use the fancy in-game editor then export a modified version of your skin (don't worry, we use the unused pixels so there will be no visible change on your skin) and upload that to Minecraft skin servers and bam, other players can see your tail without having the mod server side! Each tail is unique and different too with custom animations for each one to make them feel alive rather then something just tacked on. In the future, animations will be dynamic to what you are currently doing and react accordingly. And of course, each part is customisable. Partss can have up to 3 different tints applied to them, with the entire full RGB colour available so that's over 16.7 million different colour choices per tint! Certain parts have subtypes so they are similar to the "main" part but with slight variations such as added parts etc and in the future, you'll also be able to select from different textures per part to make it even more unique to you. You can open in the in-game editor by opening up the in-game menu (When you press Esc) and clicking "Tails Editor" button in the lower middle. Most of the buttons in the mod will have a tooltip to explain what they do but just have a mess about and see what you can make! But I'm sure you're sick of reading. Check out the images section for some screenshots of what it looks like in action and then give it a whirl! 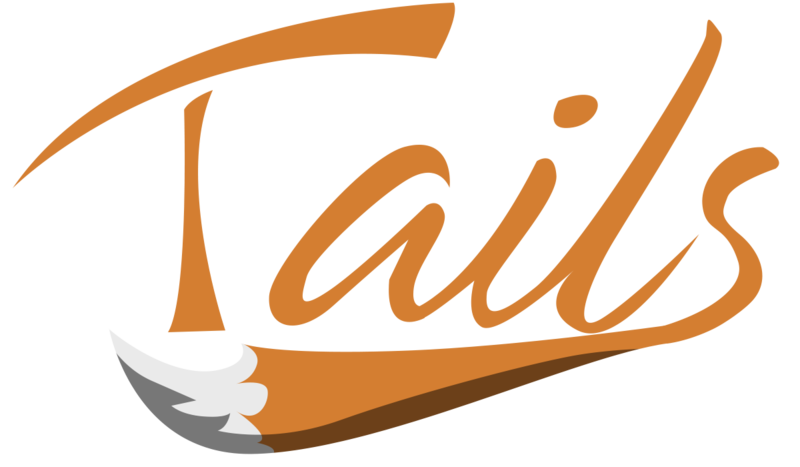 Curious about what tails are gonna be added in the future? Take a gander at this spreadsheet! If you use the following mods, Tails won't render correctly as they alter the player model. I always try to aim for compatibility so this list may be updated over time. When will this be made for Forge 1.13.2? It's been released recently. It's been supported so far. I think a future release might happen. And, also, 1.12.2 already exists. Why did I not see that before...? My eyes have failed me once again... Thanks for that don't know how I could've missed that. Hi Kihira! I hope you don't mind me piggy backing off of foxcatgaming2yt's first question. Does that mean that the mod won't work on the 1.13 version at all? I'm pretty new to playing Minecraft in general and I don't know too much about how mods work for itso I'm just curious. I really like the idea of this mod and would like to try it out, but I don't like messing around with all of the different versions of things because I'm not very knowledgeable about all of it. When's the next planned release? is this compatible with 1.13/1.14 or is there a newer one for those versions? also is this multiplayer/Lan world compatible if other players don't have the mod? Yes, other players can join a server that has the mod, even if they don't have it installed. Could you add a skunk tail? May OfflineSkins is troubleshoting with it? I have the problem where the tails aren't showing in 1.7.10 in multiplayer. How can I fix that? So i have a furry character I'm trying to incorporate into my avatar and i would love to be able to give him a actual tail and ears to go with him. Is there a way to go and edit the color layout you are using in this mod and if so id very much be interested in doing that if you wouldn't mind assisting. if not that is fine. just thought id ask.